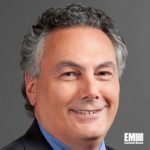 Tony Moraco, CEO of Science Applications International Corp. (NYSE: SAIC), has said the company’s fiscal 2019 third-quarter results reflect its continued focus to deliver robust performance across its contract portfolio. SAIC said Thursday it closed the quarter with $1.2B in revenue, a 2.8 percent or $32M increase from the same period last year. “Our fifth consecutive quarter of revenue growth and the highest profitability in our five year history are proof points of the disciplined execution of our strategy,” Moraco said. SAIC agreed to purchase Engility (NYSE: EGL) in September through a $2.5B all-stock transaction to form an independent government technology services contractor. SAIC reported $48M in net income and $1.11 in diluted earnings per share for FY 2019 Q3 ended Nov. 2. The company posted a book-to-bill ratio of 1.0 at $1.2B in Q3 net bookings with a total backlog of approximately $10.4B as of Nov. 2. Some of the contracts that SAIC received in the previous quarter include a potential seven-year, $861M contract with the U.S. Navy for command, control, communications, computers, cyber, intelligence, surveillance and reconnaissance systems and a potential $255M contract for technical assurance and systems engineering services for space-related missions.